Xiaomi claims to have sold more than 5 lakh (500,000) Mi LED TVs in India in just over six months, and now, in an effort to reach a larger audience, the company says that the TVs will be available at hundreds of offline stores around the country. The three Mi TVs launched earlier this year were thus far only available for purchase on Flipkart and Mi.com. 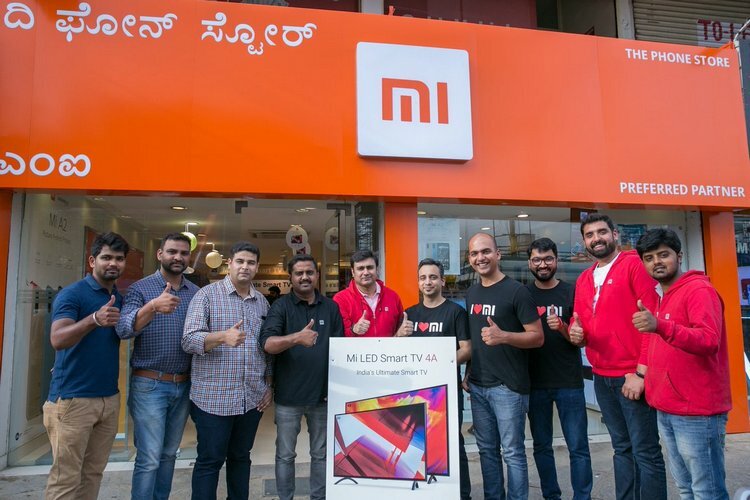 Xiaomi India Managing Director Manu Kumar Jain revealed that as part of the company’s continuing push into offline channels, Mi TVs will now also be available for purchase not only at all Mi Home stores, but also at more than 500 Mi Preferred Partner outlets in 9 cities, including New Delhi, Mumbai, Bangalore, Pune, Ahmedabad, Kolkata, Indore, Patna and Maddur (Karnataka). We want to ensure that Mi TVs are easily available to all. In addition to Mi Homes, you can now buy Mi TVs from 500+ #MiPreferredPartners in 9 cities: New Delhi, Mumbai, Bangalore, Pune, Ahmedabad, Kolkata, Indore, Patna & Maddur. Xiaomi currently sells three different Mi TV models in India even as it offers plenty more options to buyers in its home country. The company only recently unveiled a bunch of new Mi TV models in China, including its very first curved-panel TV. In India, though, the company only sells the Mi LED TV 4, Mi LED TV 4A (32-inch) and Mi LED TV 4A (43-inch). Xiaomi last month announced that it had attained the half-million milestone already, and also claimed that the devices had become the most highly-rated TVs on Flipkart with over 100,000 ratings. On Flipkart and on Mi.com, the Mi TV 4A 43-inch model is priced at Rs 22,999, while the 32-inch model is retailing for Rs 13,999. The premium Mi TV 4 model was initially launched at a price of Rs 39,999, but its price was later increased to Rs. 44,999 following a change in manufacturing costs.